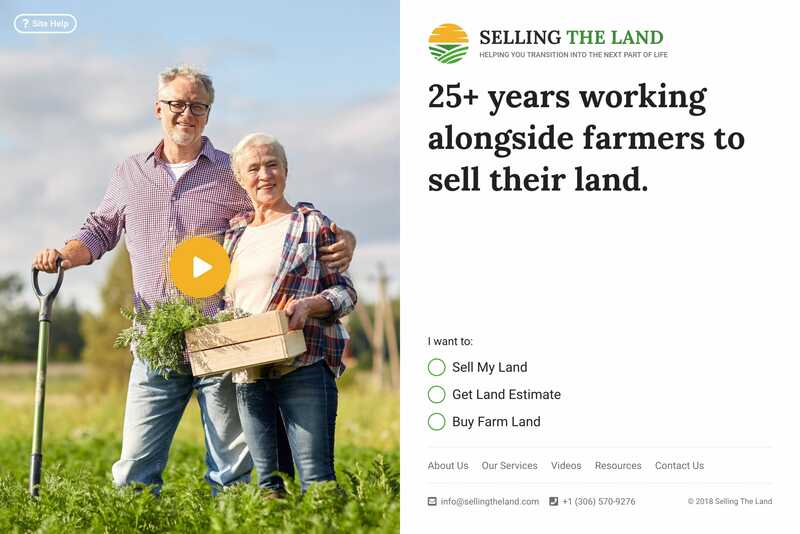 Smart One Pager promoting Selling The Land – a niche service helping farmers transition from the farm life to retirement. Well done on the great image choice, the clear explainer video and neat touch with the website help function enabling a hotspot walkthrough. Selling The Land is helping farmers transition into the next part of their life. We offer many services to help reduce the stress of selling and buying farm land. It's our job to look after the details and advise you on which steps to take during the process of a sale.